Foxhol is a small rural village of around 1,000 inhabitants. It is quite a closed community, with relatively high unemployment. The Foxheed Housing and Care Facility project was conceived as part of a broader local development plan, designed to stimulate social and physical development in the village. The main targets were young adults, with slight mental disabilities, wanting to be more connected to their community. 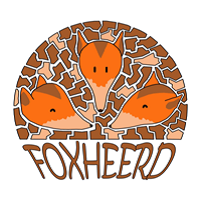 The main objectives of the Foxheerd project were: to create a living space for 12 young disabled citizens, allowing them to live independently and participating actively in rural community life; to promote integration & build community cohesion; to provide much-needed employment in Foxhol; and to provide a platform for the development of other, similar initiatives in other areas. The main activities planned and undertaken to achieve the project objectives were: building a circular complex with apartments around a common courtyard to stimulate social life of the residents and discourage social isolation; construction of a meeting point, which provides a common space for social interaction, not only for residents but for the whole community; construction of an additional small office for the professional support team. Provision of housing suitable for the residents' capacities & able to ensure them a more independent life was the key result. The residents and the association of their parents initiated the project (an innovative element in the Dutch context where care facilities are provided mainly by professional organisations). Its realisation required interaction with the local community, stimulating participation & social cohesion within the community itself. The project created new jobs for local people. Appointment of an independent chairperson for the association helped to ensure a good balance with the the residents' parents, who are naturally closely emotionally involved in the project. It is important - but also takes a lot of skill - to involve the residents with the design and implementation of such a plan. Securing external business and project development support helps reducing the number of "unpleasant project implementation surprises".